Sunny Leone had a better Sunday afternoon than the rest of us did and her latest Instagram post is proof. On Sunday, the 37-year-old actress shared a loved-up picture of herself along with her husband Daniel Weber and she captioned the picture: "A lovely afternoon with Daniel Weber." In the sun-kissed selfie, the couple can be seen happily posing and Sunny can be seen smiling with all her heart. Just like us, Sunny's Instafam also loved the picture and over 2 lakh fans have liked the picture on Instagram as of now. The comments section was flooded with heart emojis. Earlier this week, Sunny posted pictures from her anniversary celebrations with her husband Daniel and her 3-year-old daughter Nisha. 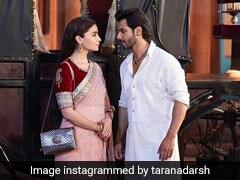 In her post, the Ek Paheli Leela actress revealed that the cake was prepared by her daughter Nisha. "Happy Anniversary Daniel, you are the best part of my life, my best friend and the best father to our children! The greatest part is that our daughter made us our cake." 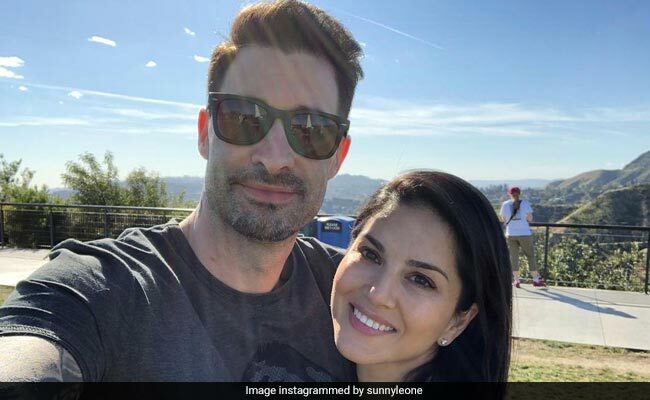 Sunny Leone and Daniel Weber celebrated their 8th wedding anniversary on Thursday. The couple are parents to three-year-old Nisha, who they adopted in 2017, and two sons named Noah and Asher, who were born via surrogacy. On the work front, Sunny Leone was seen in the second season of the web-series Karenjit Kaur - The Untold Story Of Sunny Leone.